Acquiring new customers and providing world-class experience to existing customers have become the need of the hour for manufacturers around the globe. Zoho CRM for Manufacturing helps you optimize your marketing efforts and fuel sales revenue like never before. With all your existing and prospective customers’ data in one system, you could now be unstoppable! Set up Drip Marketing via Auto res ponders. Capture Customer Need, Decision Making Time, Budget and Who Plays What Role. Track How Many Deals at What Stage. Average Age of an Opportunity. Collaborate via Feeds (Group Message or Private Message). Create Sales Quote with Different Products. Convert the Quote, Once Accepted, into a Sales Order. Convert the Sales Order into an Invoice. Promote Products via Email and Social Media Campaigns. GoldenLion was a true blessing to our CRM implementation. GoldenLion gave us a vision of what Zoho CRM was capable of and walked us step by step through the process. The real advantage was allowing us to speed up the “time to market” from 6 months down to 6 weeks, what an amazing ROI. Thank you! It has always been a pleasure working with GoldenLion.Your product, training and after sales support are all outstanding. Zoho CRM has really helped us improve our business. All the very best to GoldenLion! Manish Gourisaria, Joint Managing Director, Lion Picture & Frames (India) Ltd. I contacted GoldenLion through Zoho website about 3 months ago with a single question. They took the time to Skype and assist me with the issue as a courtesy. Subsequently, my company needed to improve its CRM experience, so I contacted GoldenLion again. Very professional. Very responsive. Very quick. I highly recommend using GoldenLion! We had a great experience with GoldenLion in rolling out Zoho CRM for 2 of our companies, viz. G P Tronics Pvt. Ltd. and Galileosolar India Pvt. Ltd. We are extremely happy with the services provided and the commitment that they have shown. Highly recommend this organization. Saikat Roy Choudhury, Director, G P Tronics Pvt. Ltd.
How Much Does Manufacturing CRM Cost and What Do I Get? Manufacturing CRM is available at an One-time fee. However you need to pay subscription fee for Zoho Suite of Apps. We will deliver you the customized version of Manufacturing CRM within 7 Working Days. You can sign up for a Free Trial here. 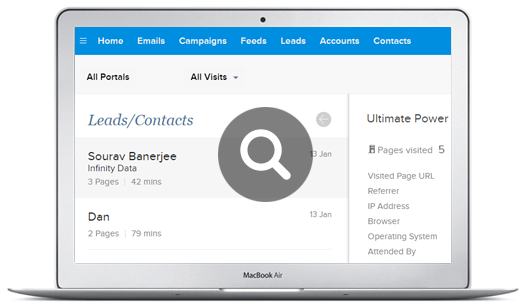 Note: this will be the Standard Zoho CRM when you sign up, Not the customized version for Manufacturing. Can I Further Customize Manufacturing CRM in Future? Can I Have a Demonstration Before I Buy Manufacturing CRM?